From thick rainforests that cover the Northern, Central and Southern mountain ranges, an abundance of freshwater ponds and miles of pristine shoreline, St. Kitts is blessed with a myriad of beautiful, complex ecosystems teeming with wildlife. Birders will be pleasantly surprised at the abundant birdlife to be seen at certain times of the year, offering fantastic bird watching opportunities on the Caribbean islands of St Kitts and Nevis. St. Kitts boasts 9 different ponds, all of which are a magnet for waders and other birds and almost all of them are easily accessible. At least 203 different species have been recorded on the twin island federation, but the actual number is far higher. With very few resident birders on St. Kitts, the island has simply not had enough boots on the ground or eyes to binoculars to spot! This presents a high possibility for birders visiting the island to sight new species to be recorded. Birders will delight in coming face to feather with birds like the Brown Pelican, Magnificent Frigatebird, Cattle Egret, American Kestrel, Royal Tern, Feral Pigeon, Zenaida Dove, Common Ground-dove, Caribbean Elaenia, Grey Kingbird, Caribbean Martin, Scaly-breasted Thrasher, Bananaquit, Black-faced Grassquit & Lesser Antillean Bullfinch, and Black-whiskered Vireo. Below is a list of the birds you can find on St. Kitts. 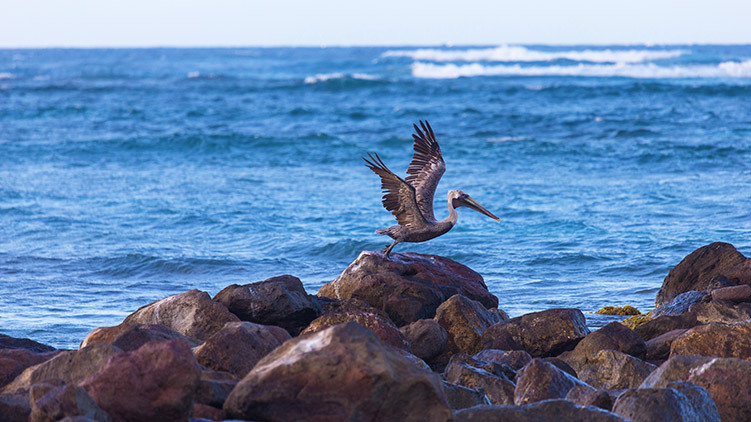 Learn more about Bird Watching on St Kitts by clicking here.